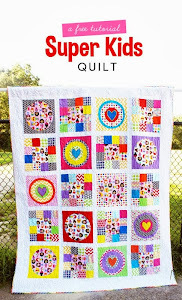 I have been sewing like crazy with Elizabeth Hartman's Perfect Zip Bags pattern. I have the directions and most measurements for "Bag C" memorized at this point. I made a small and large version here: The cat (from E.H.'s catvent QAL, of course!) one is for my sister who's favorite color is "Facebook blue." I couldn't resist using a scrap of bird fabric. I finally made a Batman mask for my nephew to go with his super cape. This was insanely easy and as you can see, my son wants one now too. 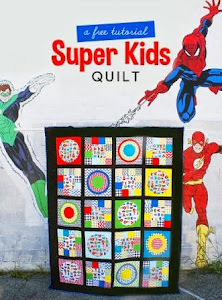 Linking up at Crazy Mom Quilts at Finish it Up Friday. I just love your pouches! So, got the catvent bug too! I love the pouches what great ideas! The batman mask looks super cool. Is that your nephew or your son in that pic? Great work! Have a wonderful Christmas! The pouches you made are all lovely and I'm sure will be well received. And I love the batman mask!